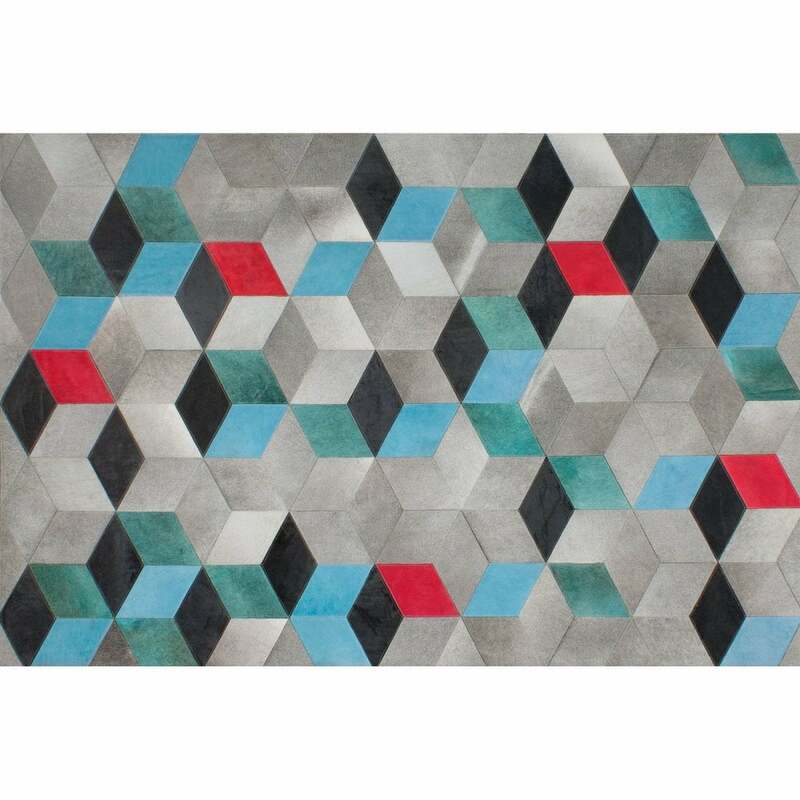 Influenced by the stylish mid-century modern era, the Coden Rug by Serge Lesage presents an elegant interpretation of geometric motifs. The varying depths of colour create a statement design that features a 3D checked effect trompe-l’œil. With touches of sky blue, bright red and cyan, Coden is sure to bring colour and texture to your home interior. Hand-sewn from the finest leather, the Coden Rug is a must-have investment piece for any design lover. Style with a velvet chesterfield sofa and metallic accessories for an eclectic look that exudes vintage sophistication. Bespoke sizes available on request. Make an enquiry for more information.